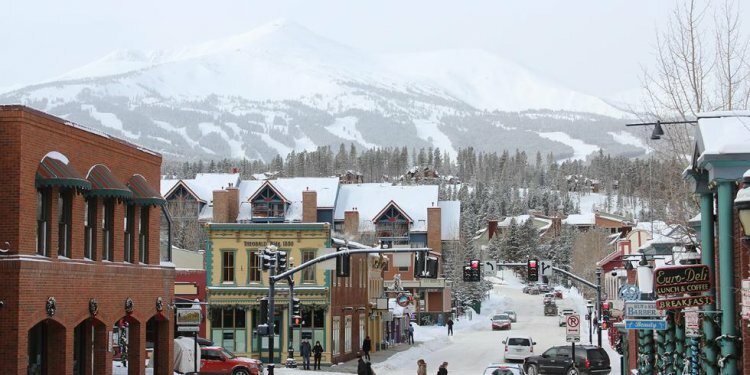 Due to its high-elevation location in the Rocky Mountains, Breckenridge experiences cold winters with heavy snowfall that often starts early in the season and continues sometimes into May. Its summers are pleasant with warm days and cool nights. Weather can always change though, even in the warmest months, and usually during the summer there is often a quick thunderstorm around 2 or 3pm during the afternoons. Breckenridge offers several activities for visitors during all seasons from skiing and snowboarding in the winter to golf, hiking, whitewater rafting and mountain biking during the spring, summer and fall. Before traveling to Breckenridge, weather forecasts, snow accumulation, forecasts and ski reports can be checked by visiting the weather page on the resort's website.